The 7th annual Waterford Truck & Motor Show 2018 takes place at the WIT Arena in just over two weeks time. For the first time the Show welcomes a top-class Racing Truck courtesy of leading CV spare parts and components supplier Transpec, a BPW owned company. The PE Automotive T-Sport Truck Racing Team will share stand space with the MAN TGS race truck on both days of the Show, with Team Principal and driver Terry Gibbon on hand to showcase the dramatic machine. “PE Automotive, the major German truck parts supplier which is also a BPW company, is a main partner to the T-Sport Truck Racing Team with many PE parts fitted to the truck. 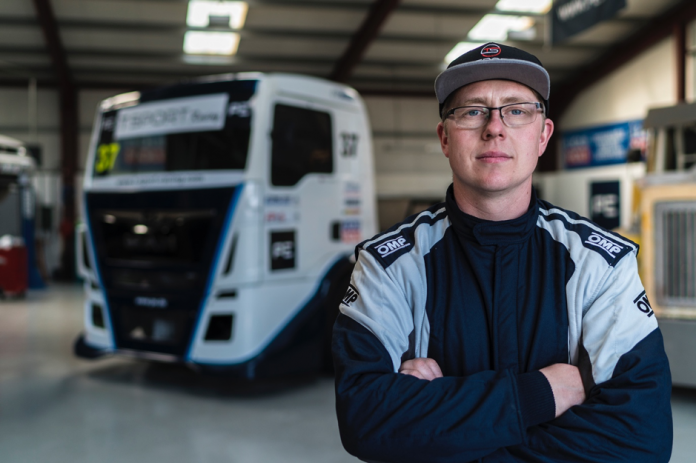 This will be a great opportunity to speak with a professional truck racing driver and to get up close with this amazing vehicle,” explained Richard Sheehan, MD., Transpec.